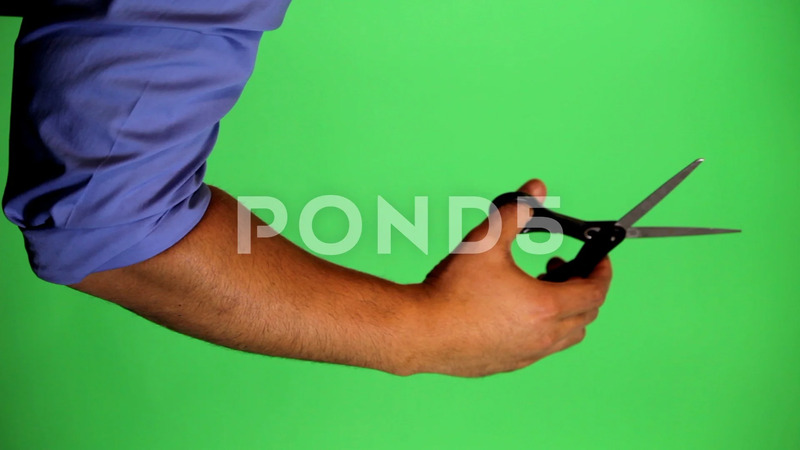 Description: An arm in front of a green screen to be keyed and used at will. Rotate image for best results. Originally used for a few animated whiteboard videos. Hand holding scissors and cutting.